There is only one signal on 1710 AM in the United States, a tiny 10-watt travelers information station in New Jersey. At 223 miles away, such a signal should be impossible to receive where I live in Virginia. But that is exactly what I heard on my radio on April 16. Reception of the signal was a complete surprise, given similarly-powered signals in my own area barely make it a few miles out, let alone hundreds of miles away. In continuing the spectacular AM reception that I’ve received so far this month, I also logged 18 new signals via groundwave and skywave propagation in the past four days. The new logs below have been added to my DX Logs page. April continues to be a phenomenal month in terms of AM DX. In the past few weeks, I have received 16 new AM logs. Since my last report, I managed to log 15 more new AM signals, all either during favorable sunset propagation conditions, or in my car on my way in to work in the morning. The new logs below have been added to my DX Logs page. During minimal tropo enhancement on April 8, I received first-time RDS decodes from three previously-logged signals. My RDS/HD Radio Screenshots page has been updated with these new screenshots. The first signal, 89.1 WCNV Heathesville, VA, is 67 miles away from my home and was first received on 5/5/07. Although my radio detected a strong RDS carrier from WCNV, the station did not broadcast any radiotext, PT, or PTY data. 89.7 WXMD California, MD, at 40 miles away, was first logged on 6/15/16 and has been received over local 89.7 W209BY multiple times without any trace of RDS. That changed on April 4. Being first logged on 5/10/99, 105.5 WRAR-FM Tappahannock, VA was among the first signals I had ever received. They seemed to have turned on RDS sometime in late 2018 or early 2019, because I did not get RDS from them before. April 2019 has started off right in terms of AM DX. I received 8 new logs in recent weeks, and in the past few days, I have added another 8 more, bringing my total AM log station count to 241. April 4 was something else. AM signals from Cuba dominated much of the AM dial in the overnight hours, displacing some normally strong regional signals. It was obvious they were Cuban after I heard one signal give a network ID, and I found the other signals playing the same thing. What I found even more interesting was that even with the slew of Cuban AM signals coming in, nothing from nearby South Florida came in. Given how Cuban AM stations often have multiple signals on one frequency with no local legal IDs, I was unable to positively ID every single station listed below, but I am adding them to my DX Logs anyway as a placeholder (in the event I ever do get a positive ID) because it was definitely a Cuban signal that I received. 96.7 WCEI Easton, MD is an adult contemporary station on Maryland’s Eastern Shore. During the warmer months, WCEI is local-grade at my house at 64 miles away. For years, it was one of the few remaining signals in the region that did not run either RDS or HD Radio. I read various online reports in recent months that WCEI debuted HD Radio, so I knew it was only a matter of time that I would pick up the station’s digital broadcast. That happened for the first time during the early morning hours of April 5. My RDS/HD Radio Screenshots page has been updated with this new screenshot. WCEI does not have their HD callsign programmed correctly. 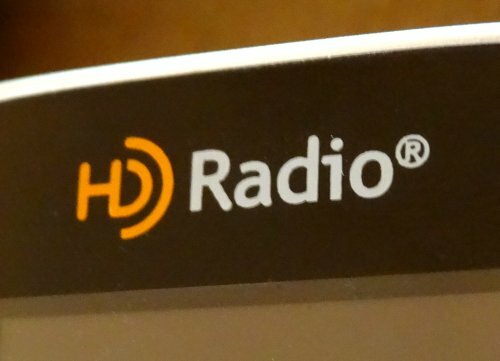 Instead of showing “WCEI” on the top left corner of the radio screen, it simply shows “HD.” This seems to be the default text identification when a station revs up their IBOC equipment. While almost every other station programs this text field with their callsign or station name, WCEI has apparently not. Ironically, at the time of publishing this post, my local 96.3 WHUR Washington, DC also shows “HD” as their callsign, after showing “WHUR-FM” for years in the same text field. 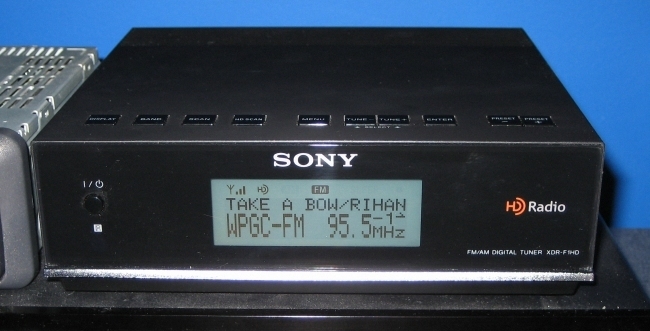 You can see a very similar screenshot of WHUR’s current incorrect HD Radio callsign to the right. I have been DXing a lot of the AM radio band in recent weeks, given the FM band has been devoid of any signal enhancement or DX conditions. 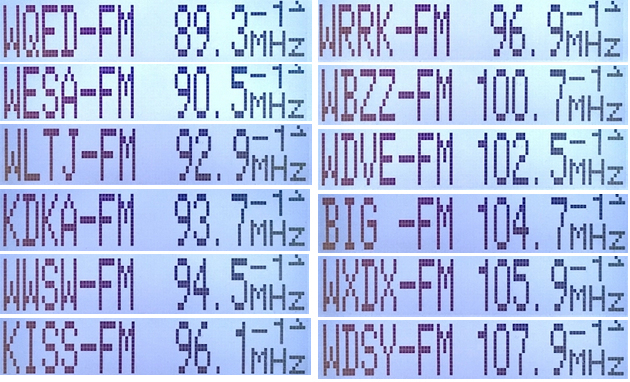 In the past week, I have received eight new AM stations. I was unable to find the callsign for the low power 1610 AM signal listed below, unfortunately. These new logs have been added to my AM DX Log. During minor tropospheric enhancement on March 28, I received RDS for the first time from 106.3 WCEM, a country station on Maryland’s Eastern Shore at 64 miles away that often comes in over local LPFM 106.3 WJPN-LP Prince William, VA @ 6 miles. WCEM is one of my veteran FM logs, being first heard in my Virginia home on August 2, 1999. It was a very common signal on 106.3 FM until WJPN-LP signed on in 2016. WCEM must have turned on RDS in the past year, since I have received them multiple times over the years without RDS. My RDS/HD Radio Screenshots page has been updated with this new screenshot. While tuning the AM radio dial on March 25, I received one new station: 1630 WRDW Augusta, GA. WRDW, an ESPN Radio station broadcasting a sports format, is 442 miles away from my home in Virginia. I have updated my AM DX Log with this new station. My existing Pittsburgh, PA and Hagerstown, MD travel DX logs have been updated with new RDS/HD Radio screenshots and new FM logs. I also briefly stopped in Somerset, PA and did a new travel DX log from there, too. Click on the links below to view the updated logs, or view my dozens of other travel DX logs from across the United States.